The development of the Internet of Things (IoT) has opened up opportunities across society and business, yet with this comes new security concerns and cyber threats. These can range from small inconveniences to serious privacy threats which could have drastic consequences. Typically there is an assumption that IoT products and services are largely unregulated and await specific regulations, when in fact regulations which affect IoT security do already exist with sanctions applicable to IoT providers. However as these are reliant on existing laws, which were not specifically written for the IoT market, often there is a lack of awareness of such legislation and how it may affect IoT products. This is coupled with some of the gaps in existing legislation, which usually only come to light when something goes wrong and the gaps become evident. The Internet of Things Security Foundation (IoTSF) reminds us that “Security is not a destination, it is a journey”. 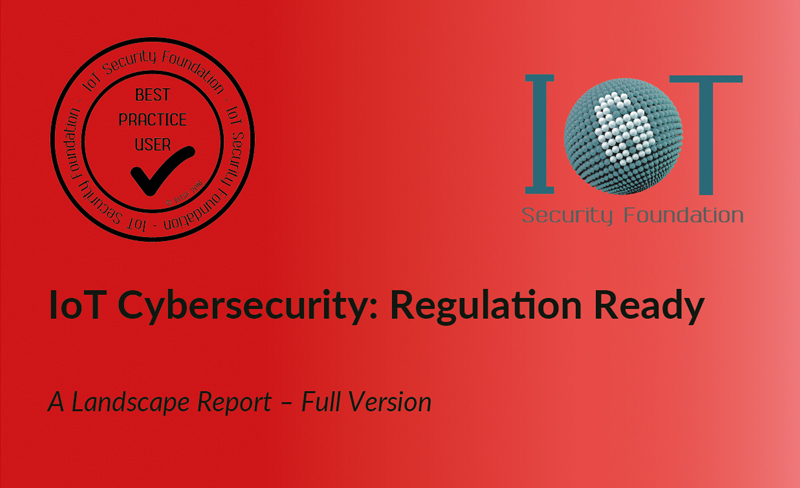 The IoTSF’s new report, “IoT Cybersecurity: Regulation Ready” is targeted at enterprises that produce or use IoT systems. With a security-focused mindset, it is intended to give IoT users and service providers a view of the current regulatory landscape and indications of the direction of some of the impending regulatory changes. The report highlights existing legal regulations and sanctions – which vary globally – as well as highlighting already available resources and tools that can help businesses be ‘regulation ready’. This report is an important part of the IoTSF’s Compliance activities, of which Richard Marshall, Managing Consultant at Xitex, is delighted to be leading in his role as Plenary Chair for the IoTSF. The report is available in two versions and is free to download. A ‘concise version’ and a more detailed ‘full version’ for those who need greater depth. Both copies can be found on the Internet of Things Security Foundation’s Best Practice Guidelines webpage. It is becoming increasingly common to find a significant number of connected devices in your home; be it simply a wireless router, a fitness tracker or perhaps a smart central heating device to name a few. The number of IoT products and devices on the market is expanding at a rapid pace and with this comes a growing fear of cyber attacks and the potential for privacy invasion. 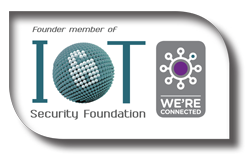 The burgeoning number of insecure Internet connected products was the key reasons why the The Internet of Things Security Foundation (IoTSF) was founded in 2015. How do Normal Consumers at Home Manage IoT Security Threats with Ease? Due to the diverse use of proprietary interfaces, it is not practical or realistic that the “plug-and-play consumer” will be able to enforce baseline security. The IoTSF’s Newly Published Whitepaper suggests putting Security Responsibility onto Router Manufacturers and the Original Equipment Manufacturers (OEMs). The document supplies much needed advice on the benefits of taking a hub-based approach, when connecting IoT devices and systems at home. The hub-based approach is ideal for a “plug-and-play consumer” to ensure products and systems work together seamlessly. Yet it can also help the user avoid cyber security risks and data protection issues. Xitex Ltd is proud to have made a significant contribution to the final version of the document. The document is intended for OEMs who are designing devices or smart hubs, Service Providers/Retailers and other Solution Providers for IoT products. 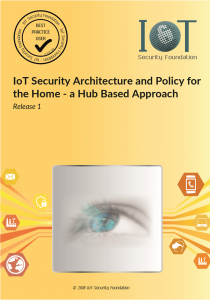 To download the whitepaper please visit the IoTSF’s best practice guidelines. For more information please see the article published on the IoTSF website. Recognised as the UK’s leading event for IoT adopters, IoTBuild 2018 opens itself up to over 1000 executive level attendees. Attendees will gain access to 2 x conference tracks; 2 x technical theatres; consultancy clinics; start-up showcase, and the exhibition. In addition the event is an opportunity to meet and network with a pre-qualified audience of trusted advisors, solution vendors and those eager to learn. In it’s third year of running, IoTBuild 2018 is bigger and better than ever before. We are proud to announce that Richard Marshall, Plenary Group Chair, IoT Security Foundation, will be speaking at IoTBuild 2018. So we are pleased to offer you a complimentary Expo Ticket to join us this November. Your Expo Ticket will give you access to industry case studies in the Connectivity and Security theatre, entrance to the consultancy clinic, 1-2-1 meetings, exhibition and drinks reception. 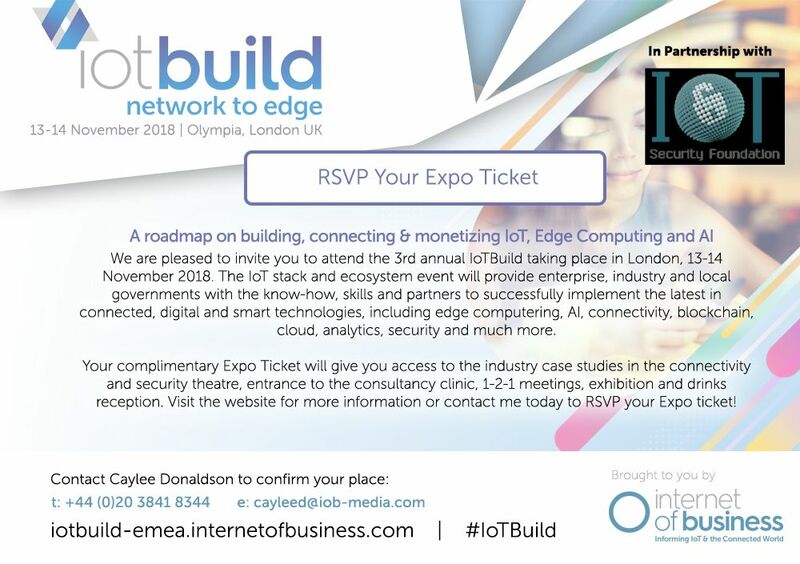 To RSVP Your IoTBuild 2018 Expo ticket, please click this link!